I’m borderline in love with my reusable salad bowl. This thing comes in handy daily and allows me to get takeout without the paper/plastic waste that normally comes with it. When I worked in NYC and had salad almost every day for lunch (Just Salad..yum), I’d leave my bowl at work and grab it before I headed down to the shop. In addition to it only being $1 at Just Salad, I got 2 free items every time I used it! There isn’t quite the same lunchtime salad craze in SF, but I’ve been using my bowl for all things lunch. I’ll put a wrap in it instead of getting a bag, and I put pad thai in it the other day, which worked out great. It is definitely easiest when you go to a deli/counter and order, because you can hand it to them before they make your meal. It’s been a bit more difficult to use when I call in a takeout order. I’ve had to go about transferring the hot contents from their plastic container to my bowl, and I’m pretty sure they probably still threw out the one I didn’t use (grr). However, I learned that WHEN you call to order takeout, you can actually SAY ‘I’ll bring my own container’, and then get there a few minutes early, hand it to the host, and voila! My reusable bowl comes back with delicious takeout waste-free! 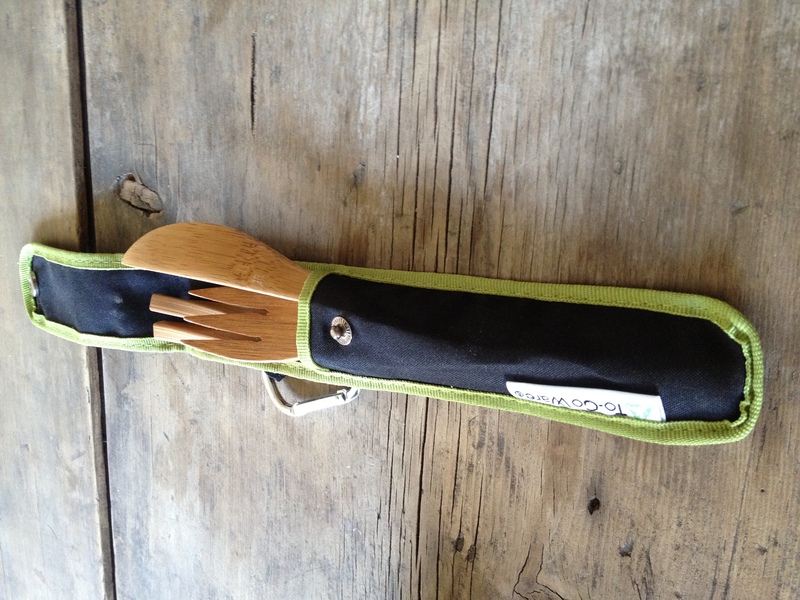 I also have been using my travel silverware when I’m on the go. Mine is made of bamboo and you can get it from REI (I actually just saw them in my local hardware store too), but there are other versions – titanium or hemp even. Just google search ‘travel silverware’ for all of the options. Bamboo is my favorite but it’s really just personal preference. It comes with fork/knife/spoon/chopsticks and is super lightweight, so I just throw them in my purse or backpack whenever I’m going out for the day. If you don’t live near a Just Salad or don’t have a friend that can send you a bowl, check out these options on Amazon. Hopefully this will help you make every day a sustainable day! 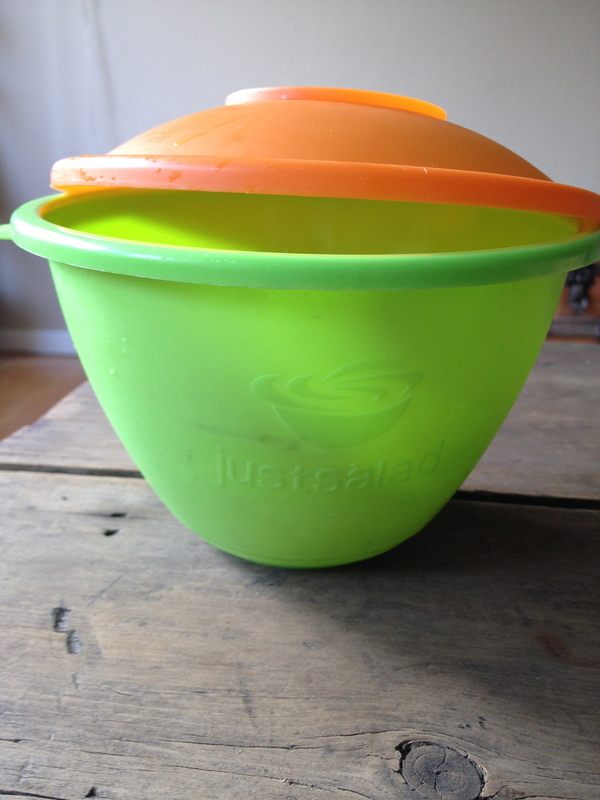 My most favorite reusable bowl is from Rice Dreams on Spring Street in NYC. Not only are they colorful and have secure llids, but you have to actually buy and eat some of the delish rice pudding that the store sells.